When it comes to the holidays, Asheville goes all out. Whether it’s the elegant decorations featuring the nearly 100 hand-decorated trees at Biltmore or the 500,000 twinkling lights at the North Carolina Arboretum, Asheville truly shines at this time of year. This weekend is the kickoff for many of Asheville’s most iconic holiday celebrations. From lighting ceremonies to parades to shopping experiences, make Asheville your destination to feel the festive spirit of the season. 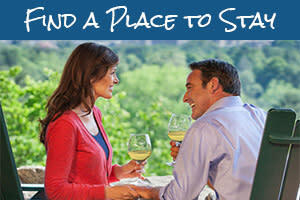 As you plan your visit, check availability for accommodations. It’s one of the newest Asheville holiday traditions and it’s one of the brightest! See 500,000 lights bring to life the renowned gardens at the North Carolina Arboretum for the Winter Lights celebration. The lights create magical, glowing natural landscapes including the always-popular Quilt Garden and 50-foot animated tree. This year’s celebration features more lights, new interactive displays and lower, family-friendly pricing. On Fridays and Saturdays, buy tickets to ride a trolley from downtown Asheville to the Arboretum. Winter Lights is a self-guided walking tour and tickets must be purchased in advance. 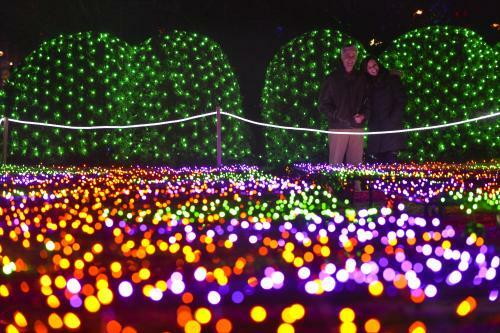 For more information, check out our guide to Winter Lights at the North Carolina Arboretum. Saturday (Nov. 18), 11 a.m. Since 1948, families have lined the streets of downtown Asheville the Saturday before Thanksgiving for the Asheville Holiday Parade. This year’s theme is “Holiday Magic” with marching bands, floats, street performers and of course, Santa Claus highlighting this classic holiday celebration. This year’s Grand Marshal is WWE Superstar and Hall of Famer Beth Copeland, known in the ring as Beth “The Glamazon” Phoenix. She lives in Asheville with her family and is the vice president of the Headlock on Hunger Program through Eblen Charities. After the parade, join Santa in Pack Square Park for photos from 2-4 p.m.! The parade begins at 11 a.m. on Biltmore Ave. at Charlotte Street and ends at Patton Ave. and South French Broad. Saturday (Nov. 18), 6 p.m.
Just hours after the parade, join in a lighting ceremony in downtown Asheville to see the Downtown Winter Lights come to life! 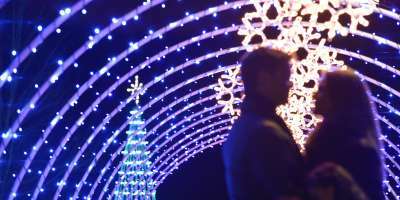 For the second year, Asheville and the North Carolina Arboretum are teaming up on an artistic light display in the heart of the city in Pack Square. There will be an extra sparkle to the display this year with a giant snowflake centerpiece and more decorated trees. Winter Lights Downtown will be on display nightly through mid-January. An Asheville architectural gem, the Grove Arcade, helps you recapture the holiday magic of yesteryear during the Winter Wonderland celebration. The Grove Arcade was one of the first enclosed malls in the nation and features more than 35 eateries, galleries and locally-owned shops. Decorations make this an especially festive place to shop during the holidays. Bring the family to the Winter Wonderland opening-night festivities from 5-8 p.m. on Friday, Nov. 17. The event is free to attend. 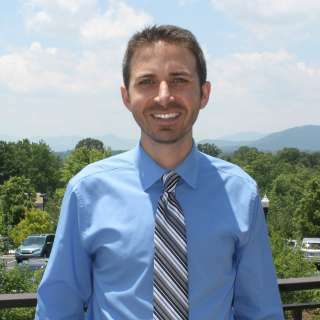 See the Deck the Halls Lighting Celebration and a performance by the Asheville Symphony Chorus (6 p.m.). There will also be story time and photos with Santa and tree ornament making. There is no admission charge for opening night, but you are encouraged to bring dog and/or cat food to support the Santa Paws program. Starting Nov. 22, the Grove Arcade will also feature a Gingerbread House Display in partnership with the Omni Grove Park Inn, which is celebrating the 25th year of its National Gingerbread House Competition. Just in time for the holidays! The Craft in Toyland exhibition opens at Grovewood Gallery to showcase handcrafted toys and games – all American made! Also on display, a collection of antique wooden toys from the heyday of Tryon Toy Makers. An opening reception kicks off the event on Saturday (Nov. 18) from 2-5 p.m. The event is free and open to the public. Prepare to deck the halls with this big holiday shopping event at the WNC Ag Center. 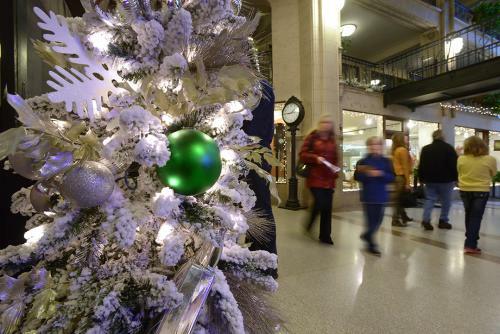 Shop art, crafts, gifts and adornments at the ‘Tis the Season Holiday Fair. Also choose from holiday food and North Carolina wines! Nearly 200 exhibitors will be there selling their wares. Admission is just $4 per person. Children under 12 get in free. Thursday (Nov. 16), 6-9 p.m. Kick off the weekend, by sampling food from more than 40 of Asheville’s best restaurants as you listen to some of Asheville’s favorite musicians! You&apos;ll be able to taste delicate pastries, smoky BBQ, melt-in-your-mouth chocolates, Southern comfort food and more. 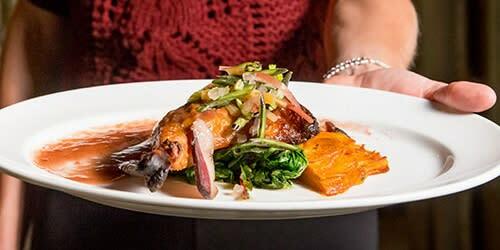 In addition to enjoying the food, The Taste of Asheville gives you the opportunity to meet the people creating the flavorful dishes. Performing at the event are Asheville’s famed buskers Abby the Spoon Lady and Chris Rodrigues, country honky tonk trio Vaden Landers & The Do Rights, hammer dulcimer player Derek Graziano and acoustic blues performer Stevie Lee Combs. General admission tickets must be purchased online prior to 5 p.m. on the day of the event. To purchase, please click HERE. 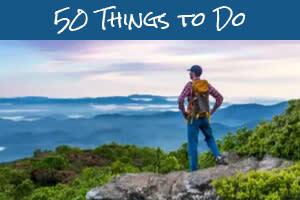 Stay out late and discover a new side of Asheville! Saturdays call for busting a move, especially at MG Road during its Late Night Dance Parties from 10 p.m. to 2 a.m. DJ Lil’ Meow Meow spins hip-hop, rap, trap, pop and classic dance tracks. Discover other great ways to experience Asheville nightlife with our guide to a night on the town. For a classical music experience, the Asheville Symphony Orchestra performs works spanning three centuries Saturday (Nov. 18) at 8 p.m. Renowned concert artist Lisa Smirnova, who made her debut at Carnegie Hall at age 20, is featured in the program. Feel the Brazilian rhythms of Bossa Nova on Friday night at 8:30 p.m. at the White Horse Black Mountain. Paula Hanke and a combo of ace jazz players serves up a cool blend of samba and jazz in a sophisticated, fresh style. Arboretum lights photos by Keith Wright. Grove Arcade photo by John Fletcher. 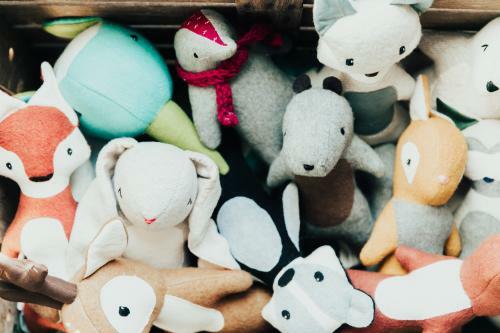 Handmade Toys by Elizabeth Swing of Emergolde/Photo by Emma Frances Logan Photography. Food plate photo by Emily Chaplin. 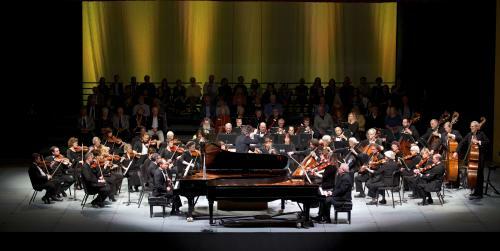 Performance photo courtesy of Asheville Symphony Orchestra.